Yesterday I was glad to have the excuse to return to the University of Winchester. After my guest lecture about self-publishing there in January, I was invited to give a quick-fire talk on the same subject as part of its prestigious Winchester Writers’ Festival. 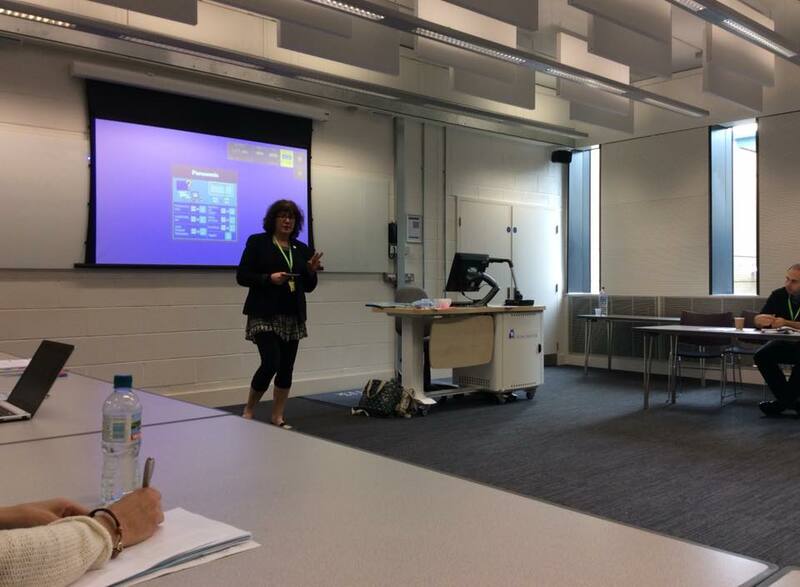 I was also available to offer one-to-one advice to delegates afterwards – a great opportunity to get know and help aspiring writers in different genres. For my lecture, I rattled off 20 Top Tips about how to self-publish to a professional standard. To save delegates having to write them down, so they could listen instead, I promised I’d share the points on my author website here today, so here goes. I’ll be adding a further report about the Writers’ Festival later this week, once I’ve unpacked my notes and caught up on my sleep! Recognise the status of self-publishing. It has had a long and respectable heritage ever since Caxton’s day, with the likes of Mark Twain, Charles Dickens and Virginia Woolf all publishing their own work at some point. You’re in good company! In any case, readers don’t care who your publisher is, as long as you’ve written a good book! Decide your goals before you begin – and then plan your self-publishing journey accordingly. What do you want to get out of it? posterity, a family heirloom, a useful “business card” in book form to help with your career, profit, or just a bit of fun? Then do it your way! You’re the boss! First, write your book! Yes, it’s fine and advisable to start planning how you’re going to market your book once you’ve published it, but always keep your writing front of mind, and protect your writing time. Without decent writing, and without finished manuscripts, the rest of the process counts for nothing. Test-drive your manuscript with beta readers. This is a great way to get constructive feedback, for free, before you start paying out for editors and production. In case you’re not familiar with this term or process, I’ve given links at the end of this article for a couple of posts on the subject that you’ll find helpful. Be aware of the formatting differences required for print and ebooks. In summary, print books are formatted similar to Word documents, but ebooks are completely different, with flexible margins, no page breaks, and no fancy characters. You can learn to format yourself, but if subcontracting, shop around for best prices and services, get references from satisfied customers, and make sure you know what you’re committing yourself too. Name that book! Choose your title carefully, to be suitable for its genre, memorable, easy to spell and original (search Google and Amazon to make sure there aren’t dozens of books out there to play “snap” with). If it’s non-fiction, incorporate the most likely keywords and use a subtitle to give your more scope. Be ready to ditch your working title if need be. Respect the specialism of book cover design. Use a specialist to devise your cover, someone who understands book cover conventions and essential such as being effective at thumbnail size in online retail platforms. Keep an open mind about changing your book covers as you go along to keep it looking in keeping with other books in its genre as fashions change. Even if you start out with a free cover, for budgetary reasons, consider reinvest your royalties in a more effective and professional cover later on. Write the blurb to lure in readers who will love your book. The first thing readers look at in bookshops after the cover is the blurb on the back – “the 100 hardest words you’ll ever write”, according to Ben Cameron, Director of Cameron PR. They should prepare your readers’ expectations precisely for the content of your book – and reel them in to buy it! Know your limits. For points 5-9 above, be realistic about what you can and can’t do. Treat your self-publishing like you would a domestic DIY project. Would you really install a new bathroom without having any plumbing skills? Nope, it would be a false economy – the kind that makes Kevin McCloud raise his eyebrows every time a “Grand Designs” couple declare they’ll lay their own bricks/install their own fireplace/fit their own electrics to keep costs down of their house restoration. If you can’t supply a professional finish yourself, call in the professionals. Make sure your book passes the identity parade. In a line-up of books, make sure yours isn’t the one that screams “I’m self-published” in an identity parade. A growing number of self-published books are published to traditional, big publishing house standards – make sure yours is too. Press the “publish” button at the right time. My friend and mentor Orna Ross, founder of the Alliance of Independent Authors, always says that many authors publish too soon, because it’s so easy to, using digital and print-on-demand technology. Only publish your book when you’re sure it is the best it can possibly be – and then stop tinkering with it. If you need to keep changing it, maybe you published too soon? Write another book. That’s the best piece of marketing advice an author can get – write another, and another, and another… The most books you have out there, the more visible your work will be. And if readers enjoy your first book, they’ll be ripe to be sold another. Better still, write a series – get them hooked on book 1 (at a specially low price, if you like), and watch the sequel sales grow. Ring the changes. Although you shouldn’t keep messing about with the content of the book after publication, do play around with the keywords and categories in online retail listings till you find the right ones that help you shift the most sales. As with cover designs, the metadata needs will change with fashion over time, too, so keep an eye on them. Spread your risk of success online. Don’t put all your eggs in one retail basket. Don’t focus solely on ebook or only on print – you’ll sell more books overall if you have both. Equally, put them into all the main retail outlets online – Nook, Kobo, iBooks, etc, rather than just Amazon. Although early adopters often went with only Amazon, the others are fast seizing market share, so don’t miss out. Market yourself, not just your book. Marketing is a huge topic that falls outside the scope of this talk, and for more on that score, read my handbook, Sell Your Books! – but apart from point 13 above, the key take-away point about marketing that I’d like to share is that when planning your marketing, include your own back story. Too many authors don’t realise that their own lives and personalities are part of their pitch – readers love to hear about authors, especially in the modern digital age, so don’t be shy! Otherwise when it comes to marketing, stick with what you’re comfortable with, and don’t try to do too much at once, or you’ll quickly get overwhelmed. Respect the real estate of bookshops and libraries. Contrary to rumour, bricks-and-mortar bookshops are happy to stock self-published books, provided they’re of professional standard and you can convince the bookseller that you’ll drive sales through their store (for libraries, drive loans). Think of their shelves as rental accommodation – each book needs to pay its rent by being sold on a regular basis. 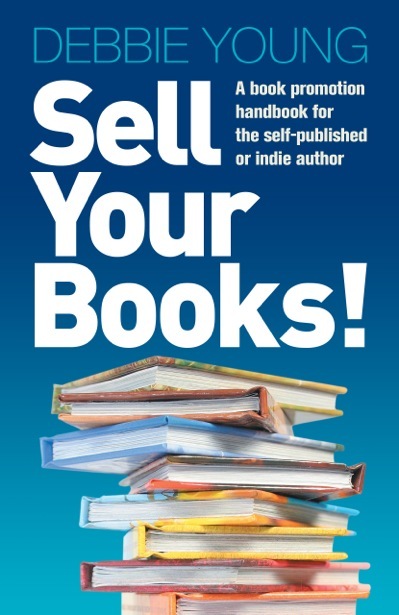 For more advice about how to sell your books through bookshops, read the guide I co-authored for ALLi, Opening Up To Indie Authors. Set up your own shop window online i.e. create an author website. This should be the hub of all your marketing, and the authoritative guide to your authorly pursuits. This needn’t cost the earth – a great entry point is to use the free WordPress.com software (I use it for mine) – you only start paying if you want to add extras such as a URL without the .wordpress.com suffix (which I do). A writer’s website is never done! Unlike your published books, the development of a website has not deadline, nor should it. Instead, it should evolve as your writing career evolves. Build followers with an e-newsletter sign-up form, consider a blog to keep it current and lively, and keep it up to date with your book news. It’s great for fine-tuning your voice and building your writing confidence and fluency too. Associate with other successful self-published authors. Success breeds success, and the community of indie authors is extremely generous, readily sharing best practice and advice. The best way to run with the pack and to learn by osmosis is to join the Alliance of Independent Authors, whose author advice blog I edit, and which, not surprisingly, I heartily endorse! It brings together the most professional, cutting-edge self-publishers around, as well as welcoming those still starting out on their writing journey. 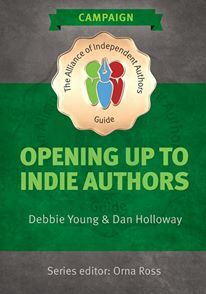 More about how to do that here: www.allianceindependentauthors.org. Last but not least, here’s a bonus point #21 – CELEBRATE! Be proud of your achievements as a self-published author, you’ve done what many only talk of doing but never achieve. You are right to be excited about your future, so stay optimistic, open-minded and opportunistic, and enjoy this heady ride. For more information about Winchester Writers’ Festival, here’s their website: www.writersfestival.co.uk. 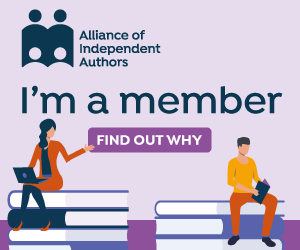 For more information about joining the Alliance of Independent Authors, visit our membership website. Previous Post What’s in a Car Name? Great tips, thanks for the advice! I’ve heard that the best marketing strategy is to write more books, but for some reason, authors like to overlook this part of the process. I agree! It is weird how reluctant a lot of authors seem to be to believe that tip – perhaps they’re just trying to avoid the awful truth! How fortunate that audience was to receive your wisdom and advice Debbie and for you to share these tips before you’ve even unpacked your notes! Not to mention the rest of us, bonne continuation, such great supprt. Thanks, Claire! I thought I’d better put them up here quick in case anyone was super keen to read them after the event, and I’m glad to have the facility to share them here. Always handy to find opportunities to “repurpose content”, as the jargon has it! Thank you so much for this – I used to go to the Winchester Writers’ Festival, (as a graduate from their Creative Writing degree a few years back) but I am afraid it is now so expensive – you have to be in possession of a lot of spare money to be able to afford to go and for most normal, working people (and parents!) that’s simply not feasible. It’s a pity. But these notes, together with your SELL YOUR BOOKS book, will really help and galvanize me again to be pro-active as an indie author! Thanks, Jude! I agree, it is a luxury to go on these courses, but you do get what you pay for – it was a fabulous programme, and I was very lucky as a speaker to gain free entry to the other sessions running that day, including a terrific keynote address by Sebastian Faulks. I don’t know whether you also read the Alliance of Independent Authors’ advice blog about self-publishing, of which I’m Commissioning Editor, but if not, please do take a look, as you should find plenty of inspiration and guidance there too! The website is at http://www.selfpublishingadvice.org.